Works fine. Able to rip almost all the DVDs. After a free trial, purchased this program and using it since a week. No problems observed. Have no spyware or any virus attached as my computer has all protections and would have detected if any such softwares. iSofter DVD Ripper Platinum : Allow you convert DVD Movie to iPod Video, Microsoft Zune, Pocket PC, 3GP Mobile Phone or any other MP4 player, such as iRiver, Archos, Creative Zen Vision and more. Even you can use the video editor profile to output avi file for your video editing software, such as Adobe Premiere, Sony Vegas. Step 1. Press the "VOB" button to choose. It will auto scan VOBs to set up a temporarily IFO file for you. Step 2. Input settings:: After you successfully load the VOB, the VOB title info is displayed in the center window. Sometimes some chapters/episodes hide in another index, you can change an index in "Index" dropdown box to load these chapters/episodes. 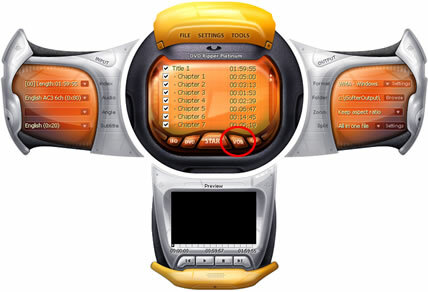 You can select the audio track for the target files in the "Audio" combo-box in the Input area. Also, you can select the "Subtitle" language or" without Subtitle" as well. Step 3. 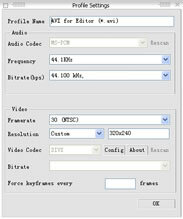 Output settings : Select the target video profile in the "output format" dropdown list in the format area. 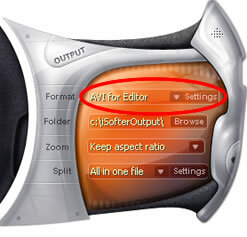 Please choose "AVI for Editor", iSofter DVD Ripper Platinum allows you to specify the video quality by clicking the "Settings" button. In general, you'd better keep the default value, that's enough to reserve wonderful video quality. And you can select output folder through folder “browse” button.And you may specify the output path (default is C:\iSofterOutput\ ), that is where your converted files in. Click " Browse " to reset it as you wish. Click " Folder " Label you can open output fold directly. Default “Zoom”option is “Letterbox”, medium and pan scan convert 16:9 to 4:3 .Full doesn't correct the aspect ratio. If you have a 4:3 VOB Use Full. Default is : Letter Box (4/3) .Custom: Allow free crop and resize the output video. If you choose two chapters and you want to this chapters are linked by a chapter.You must select “All in one file”in the “Split”box. In general, VOBs are ripped by chapters. If you prefer to split VOB by certain file size, please select "Custom Size" in the "Split" box. You may enter the specifying number by clicking "Settings" button. The default is "5 MB".